An international conference on the Middle East in Warsaw next month is aimed at promoting stability in the region, not at demonizing Iran, the United States has said. Meanwhile, Russia slammed the planned meeting co-hosted by Poland and the United States as 'counterproductive' because of what Moscow called its focus on countering Iran, and said it would not attend. Addressing the UN Security Council on January 22, U.S. Ambassador Jonathan Cohen called the ministerial meeting a 'global brainstorming session' to 'develop the outline of a stronger security architecture' in the Middle East. The February 13-14 event will include sessions on the humanitarian crises in Syria and Yemen, missile development, extremism, and cybersecurity, Cohen said. 'It is also not a venue to demonize or attack Iran,' he insisted. But the U.S. envoy said the conference will acknowledge the need for action against Iran's missile program, the Shi'ite militant group Hizballah's tunnels from Lebanon into Israel, and recent rocket launches from Syria into Israel. In remarks published on January 21, Polish Foreign Minister Jacek Czaputowicz said that Iran wasn't invited. Iran has called the conference a U.S. 'anti-Iran circus,' while warning that Tehran could resort to unspecified 'counteraction' toward Poland. 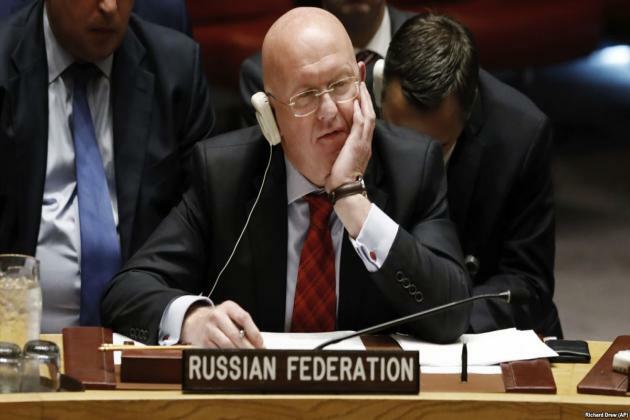 Russian Ambassador Vasily Nebenzya told the Security Council on January 22 that the conference will fail to bolster Middle East security because of its 'one-country aspect' and failure to address the Israeli-Palestinian conflict. 'Attempts to create some kind of military alliances in the region, holding different conferences and focusing on having a simplified unilateral approach to the region that is clearly linked just to Iran, is counterproductive,' Nebenzya said. EU foreign-policy chief Federica Mogherini has said that she will not attend the Warsaw meeting, which has received a cool reception from European countries.